Planning with your personality - in less time, with less energy, and WAY more ease. Most productivity and time management experts out there want you to get MORE done in less time. There are all sorts of methods they want you to use: getting your priorities straight, organizing your space, working smarter not harder…the list goes on. But here's the truth: planning and productivity are NOT created equal. You could try out every productivity and time management hack in the world (and you probably have), but until you know exactly which of those strategies make the most sense for who you naturally are (and which ones to stay away from), you’re going to stay stuck, overwhelmed, and hangin’ out in survival mode forever. Your planning personality is as unique as your thumbprint, and I’m here to help you uncover exactly what yours is. It’s possible for you to take things off of your plate so you are doing LESS, not more. And it’s possible for you to be able to sit down and plan your weeks with less time, less energy, and WAY more ease. We’re going to get to know each other up close and personal. We’ll laugh, there may be tears, but above all, you’re going to be CRYSTAL clear on what’s going to work for you and what you should stay far away from every time you sit down to plan from here on out. Planning is meant to be fun, not like a chore, and the time it takes to do something does not equal the energy you’ll spend to make it happen. I believe that time management is total BS and the only way to stay in alignment is to instead focus on managing your energy expenditure. A planner is only as good as the strategy behind it. That’s why this program is the only way for you to go through my popular Planner Matchmaking process. I’m here to make sure you’re set up for success far beyond our time together. Hey, I’m Megan, Planning Fairy Godmother & host of The Plan to Plan Podcast! Over the last couple of years, I’ve been teaching overwhelmed women go from just trying to get through the day to accomplishing things they’ve only ever dreamed of, with the same ease and alignment I use in my own day-to-day life. Paper planners and personality types are my love languages and I cannot wait to teach you everything I know. We’re gonna kick off our half-day together by getting to know who you are and what makes you tick. Don’t worry about being put on the spot, you’ll have a questionnaire to fill out on our own time well before our session begins. Then, we’ll dig into your Four Tendencies type, your Enneagram number, and your Myers-Briggs type. We’ll be looking at things like where and how your personality types overlap, what has worked and not worked for you when it comes to planning and goal setting for you in the past, and what your personality types have to say about how you naturally show up in the world. During hour 2, we’ll shift our focus to strategy and energy management. 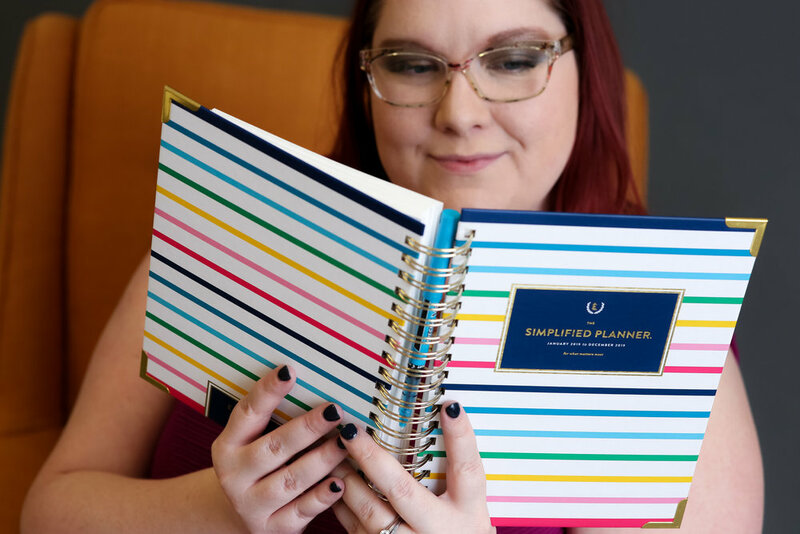 Based on your three personality types, I’m going to tell you exactly what you need to do in order to be a successful planner. Because this looks different for everyone (it’s like your thumbprint, remember) this could mean one solid strategy, or an arsenal of strategies you can employ. I’m talking exactly what you should do when you sit down for your Plan to Plan time each week, and what you can do each day to keep moving forward. I’ll also tell you what strategies and techniques to stay away from so you don’t waste your time or energy on things that aren’t going to work for you. We’ll also cover time management vs energy management and how to have fun while you plan! During our final hour, we’re going to dive into the tools and resources you can use to support you as you get used to doing the things you need to do to keep your stress levels down, your energy levels up, and your life moving forward. 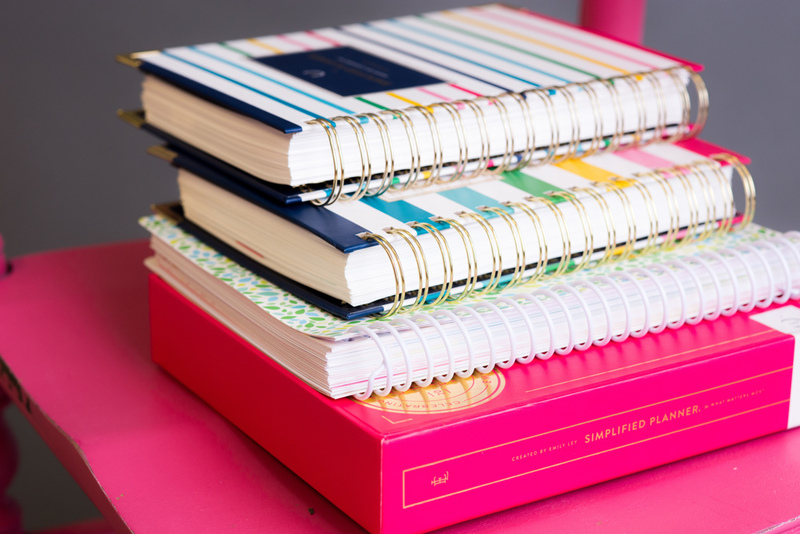 This is where we’ll match you up with the perfect paper planner for your personality types and needs. I’ll also have books, podcasts, journal prompts, and other resources available for you to continue your planning education. You’ll have one month of Voxer access to me! You didn’t think I’d let you go it alone, did you? As a half-day planning intensive client, you’ll have me as your pocket planning fairy godmother for a full month with the option to extend this support after that. My clients love having this support because it’s a quick and easy way to celebrate when you make progress, and get some expert eyes on your planner if something needs tweaking. You don't have to be magical to plan with ease. Work with me and learn exactly how you can show up exactly as you are and see real momentum and progress in your life. Is the half-day planning intensive right for me? You’re either brand new at using a paper planner, or you’ve tried using a planner in the past but haven’t figured out how to keep at it. You feel like planning sounds good in theory, but in reality you’re spending all of your energy putting out fires every day and can’t see how to change that. You KNOW you’re not as scatterbrained as you feel sometimes, you’ve got a lot on your plate and aren’t sure how to manage it all. You’re at your wits end wondering if this is all life will ever be. Your first payment is due today to reserve your spot, and your final payment of $299.00 will be due when you book your Intensive session. You will need to book your Intensive session within 30 days of holding your spot. If you have not booked your session after 30 days, your payment will be refunded and your spot will be forfeited. If I’m unhappy, can I get a refund? I fully stand behind the work we’ll do together. You will have up to 14 days after our session together to request a refund if you are unhappy. I would say no questions asked, but I’m definitely going to want to know what I can do to improve the experience going forward. So I guess that would be one question asked. I need your help, but I’m already planning regularly and have a planner I like using, how can I work with you? I have a 1.5 hour Planning Strategy Session available for a planning veteran like you! This is going to be up your alley if you are already planning on the regular, use a planner you like, and have a decent handle on surviving the day to day. If that sounds more like you, and you’re ready to start making forward progress on your goals and dreams outside of everyday life, a Planning Strategy Session would be a great option for us to work together. I’ve never done something like this before. Why should I say yes? What got you here won’t get you there friend. Ever heard that saying before? I’m not saying you won’t get yourself out of the overwhelm and stress you’re dealing with now if you don’t work with me. But I am saying you definitely won’t get there as fast. I’m not one for scare tactics, like if you don’t buy this now you’ll be unhappy forever and ever. You and I both know there are many paths to peace and happiness. Since you are here, reading this page, there is something that makes you feel like I can help you. If you’re still not sure, I invite you to book a free, no obligation 15 minute Q&A call with me here. I want to do this, but there’s no way I can spend 3 hours on a call. What options do I have? This half day planning intensive is NOT for a fairweather planner. Because this is a one time call, I expect that you will make the space in your schedule to accommodate our time together. Pay in full, let's do this!